Terriers begin a home-and-home series at Merrimack tonight with four important league points at stake. Puck drop is at 7 p.m. for the contest that will be live-streamed on a pay-per-view basis. 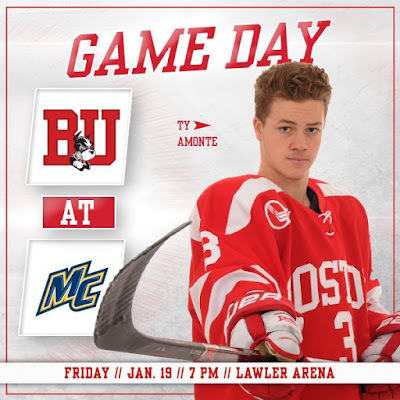 BU will be looking for its first win at Lawler Rink since a 4-1 victory five years ago this month in Jack Parker’s final season as head coach. Since then, the Terriers are 0-3-1 in North Andover. Freshman David Farrance returns to the line-up after missing last weekend's games, while sophomore Patrick Harper is not expected to be available. The Warriors are 5-2-1 in their last eight starts. Merrimack’s offense is led by seniors Jace Hennig and Brett Seney with 20 points apiece and senior defenseman Jared Kolquist with 16. Goalie Craig Pantano has been in net for all seven Merrimack wins and has a 2.26 GAA. 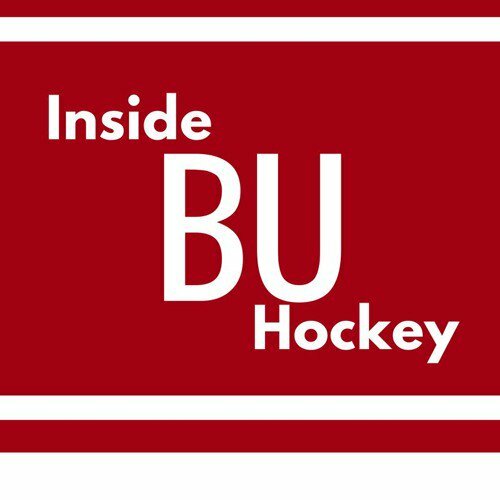 This week’s episode of Inside BU Hockey features Bernie Corbett’s interviews with BU Head Coach David Quinn, freshman forward Ty Amonte and Merrimack play-by-play announcer John Leahy. Prior to BU, Amonte played for his father, Terrier standout Tony Amonte, at Thayer Academy and then spent a season in the BCHL with Penticton. ►This week’s Hockey on Campus podcast features: Minnesota-Duluth Coach Scott Sandelin, ESPN.com’s Chris Peters and USA Hockey Director of Hockey Development Kevin McLaughlin. 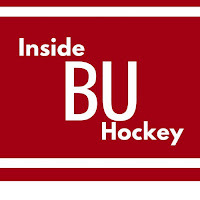 Hockey on Campus airs on NHL Radio (SiriusXMChannel 91) on Saturday morning at 8 a.m. ET and Sunday morning at 10 a.m. ET. You can also find it here on College Hockey News. 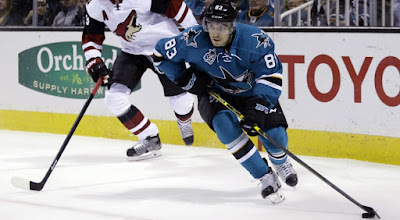 Matt Nieto scored his ninth goal and added an assist in Colorado’s 5-3 win against San Jose. Nieto has three goals in the past five games and is within one score of matching his career best mark of 10.